Electric dreams lack drama – HubNut – celebrating the average! Regular readers will know I have a huge soft spot for electric vehicles or EVs. I love the effortless grunt that an electric motor provides, as well as the eco-credentials. I live a lifestyle where we aim to reduce our impact on the world, and EVs have plenty of answers – not all of them, but more than other, more combustible forms of propulsion. But there is one BIG problem. The noise. I mean, look at Formula One – farce that it is. Enthusiasts have been kicking off about how quiet the V6 turbocharged engines are compared to previous F1 engines. Go to a drag race, and its the manner in which those hugely powerful engines literally thunder down the strip, making a noise you can feel in your chest, that makes it so exciting. Yes, speed is fun, but the delivery is all important. This was driven home to me recently at the Prescott Hillclimb. I spent a giddy two days watching car after car race against gravity. Roaring V8s were what I appreciated the most – far more than the screaming Suzuki Hayabusa-engined racer that was quick, but just not as exciting. 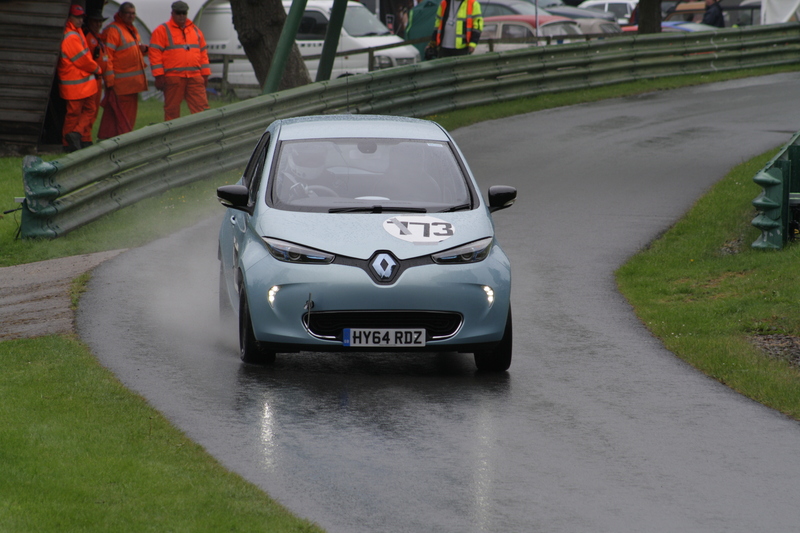 The largest contrast came when Steve Cropley, editor-in-chief of the Haymarket Group, and Barrie ‘Whizzo’ Williams silently glided past in a Renault ZOE electric car that they were sharing. Whizzo in particular was getting rather a shift on, but the entire lack of noise meant it wasn’t the spectator spectacle that you’d hope for. I’m sure local residents found it preferable, but to me, it was rather like watching your favourite band on mute. I have no idea why it is that I find certain engines so wonderful to listen to. It makes very little sense when you think about it. However, it certainly occurs to me that the reason EVs get my vote for everyday transport, is purely because most family cars sound about as exciting as a lecture on the drying times of paint. It’s like muting a Lighthouse Family album. It’s a vast improvement.